Article 1 - Municipal Airports. § 63-1. Definitions; singular and plural. § 63-2. Cities and towns authorized to establish airports. § 63-3. Counties authorized to establish airports. § 63-4. Joint airports established by cities, towns and counties. § 63-5. Airport declared public purpose; eminent domain. § 63-6. Acquisition of sites; appropriation of moneys. § 63-7. Airports already established declared public charge; regulations and fees for use of. § 63-8.1. Repealed by Session Laws 1973, c. 803, s. 3. Article 2 - State Regulation. § 63-10. Repealed by Session Laws 1971, c. 936, s. 1. § 63-11. Sovereignty in space. § 63-12. Ownership of space. § 63-13. Lawfulness of flight. § 63-14. Repealed by Session Laws 1947, c. 1069, s. 3. § 63-15. Collision of aircraft. § 63-16. Jurisdiction over crimes and torts. § 63-17. Jurisdiction over contracts. § 63-18. Dangerous flying a misdemeanor. § 63-19. Repealed by Session Laws 1943, c. 543. § 63-20. Qualifications of operator; federal license. § 63-21. Possession and exhibition of license certificate. § 63-22. Aircraft; construction, design and airworthiness; federal registration. § 63-24. Jurisdiction of State over crimes and torts retained. Article 3 - Stealing, Tampering with, or Operating Aircraft While Intoxicated. § 63-25. Taking of aircraft made crime of larceny. § 63-26. Tampering with aircraft made crime. § 63-26.1. Trespass upon airport property made a crime. § 63-27. Operation of aircraft while impaired. § 63-28. Infliction of serious bodily injury by operation of an aircraft while impaired. Article 4 - Model Airport Zoning Act. § 63-29: Repealed by Session Laws 1971, c. 936, s. 1. § 63-30. Airport hazards not in public interest. § 63-31. Adoption of airport zoning regulations. § 63-32. Permits, new structures, etc., and variances. § 63-35. Enforcement and remedies. § 63-36. Acquisition of air rights. § 63-37.1. Airport obstructions illegal. Article 5 - Aeronautics Commission; Federal Regulations. §§ 63-38 through 63-44: Repealed by Session Laws 1949, c. 865, s. 1. § 63-45. Enforcement of Article. § 63-46. Repealed by Session Laws 1949, c. 865, s. 2. § 63-47. Enforcement of regulations of Federal Aviation Administration. Article 6 - Public Airports and Related Facilities. § 63-48. Transferred to § 63-1 by Session Laws 1971, c. 936, s. 2. § 63-49. Municipalities may acquire airports. § 63-50. Airports a public purpose. § 63-51. Prior acquisition of airport property validated. §§ 63-51.1 through 63-52. Repealed by Session Laws 1973, c. 695, s. 10. § 63-53. Specific powers of municipalities operating airports. § 63-55. Airports on public waters and reclaimed land. § 63-56. Joint operation of airports. § 63-57. Powers specifically granted to counties. § 63-58. Municipal jurisdiction exclusive. §§ 63-59 through 63-64. Reserved for future codification purposes. Article 7 - State and Federal Aid; Authority of Department of Transportation. § 63-65. Authority of Department of Transportation generally; "airport" defined. § 63-66. Administration of Article; powers of Department of Transportation. § 63-67. Activities eligible for State aid. § 63-68. Limitations on State financial aid. § 63-69. Sources of State funds. § 63-70. Acceptance, receipt, accounting, and expenditure of State and federal funds. § 63-71. Receipt of federal grants. § 63-72. Authority of Department of Transportation to operate airports and expend funds therefor. § 63-73. Letting of contracts. §§ 63-74 through 63-77. Reserved for future codification purposes.  Article 8 - North Carolina Special Airport Districts Act. § 63-80. Procedure for creation of districts; concurrent resolutions; notice and public hearing; submission of question to voters; publication of notice; actions to set aside proceedings. § 63-81. District board; composition, appointment, terms and oaths; organization; meetings; quorum. § 63-82. Procedure for inclusion of additional units of local government; notice and hearing; actions to set aside proceedings. § 63-83. Powers of districts generally. § 63-84. Bonds and notes authorized. § 63-85. Taxes for supplementing airport revenue bond projects. § 63-86. Determination of tax rate by district board; levy and collection of tax; remittance and deposit of funds. § 63-89. Inconsistent laws declared inapplicable. Article 9 - Changes in Special Use Airspaces. § 63-90. Public purpose declared. § 63-91. General Assembly review and approval. § 63-92. Effect of General Assembly review. Article 10 - Operation of Unmanned Aircraft Systems. § 63-94. Applicability of Article. § 63-95. Training required for operation of unmanned aircraft systems. § 63-96. Permit required for commercial operation of unmanned aircraft systems. Article 11 - Marking and Notice of Meteorological Towers. § 63-110. Marking of meteorological towers. § 63-111. Registration; notification; tower database; penalty.